With a fresh cup of coffee in your hands, you step out of your room on the terrace. The first rays of sunlight illuminate the peaks of the Hohe Tauern mountains in blazing red, the cold air makes your skin tickle. If this sounds like the start of a perfect winter day to you, Sonja Alpine Resort is your place to be. 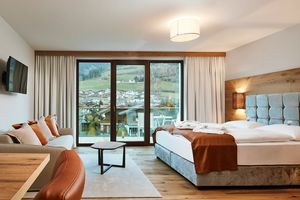 Our modern 4-star-hotel in Zell am See/ Kaprun you will find the right backdrop for your perfect winter holiday. 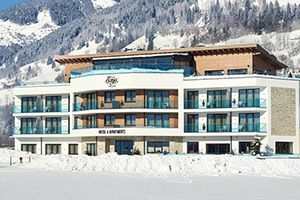 Strengthened by our substantial you can walk within minutes to the nearby ski bus station and will be on the ski slopes around Zell am See and Kaprun in no time. 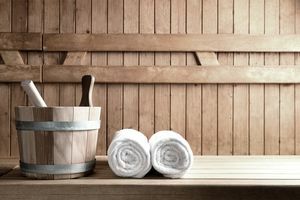 After an exciting day in the snow, a sauna session is the perfect way to heat and relax your cold skin and tired muscles. 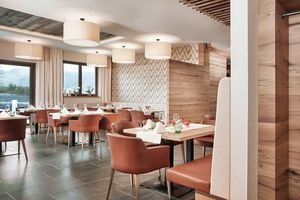 During the extensive 4 course dinner in our restaurant, you can recall the adventures of the day before you fall into our luxurious box-spring beds, where you can recharge your batteries for another day on the most beautiful slopes in Austria. Book your suite now for unforgettable days in Salzburg’s winter wonderland. In November, you will have the slopes on Kitzsteinhorn mountain almost all to yourself. 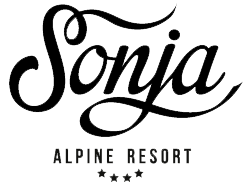 On Christmas and New Year‘s it gets festively at Sonja Alpine Resort. And after Easter, you can do fantastic spring hikes in the region of Zell am See-Karpun. 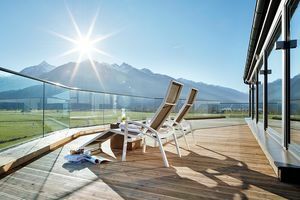 All at best conditions – have a look at our special offers. Book your room via our website or on the phone and enjoy exclusive advantages. Of course, you will get all included benefits such as our breakfast buffet with egg station or the access to all of our wellness and fitness offers. Additionally, direct bookers will find a free bottle of water in their room. Our spacious suites and apartments are characterised by their modern design, high-quality materials and best comfort. Whether with your partner, family or with friends, whether half board or self-caterer: here you can spend your holidays the way you prefer the most. 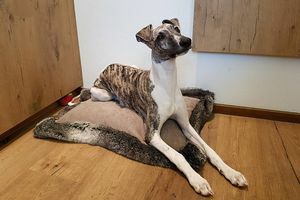 We at Sonja Alpine Resort are happy to welcome family members on four legs. Our surroundings invite to extensive walks. On request, we can organize a dog sitter for you. Our spa area with a panoramic view offers a heated indoor pool, an infrared cabin, two saunas, a vapour bath and a relaxation area. Our fitness room is equipped with high-quality machines. Every morning, you can enjoy our ample breakfast buffet with a large variety of sweet and savoury delicacies, fresh coffee or tea and an omelette station. Our apartments are equipped with a kitchen and a dining table, the nearby supermarket offers everything the hearts of self-caterers desire.